All over the world, our alumni continue to demonstrate the distinctive value and excellence of a Heidelberg education. Your relationship with Heidelberg doesn’t end the moment you walk across the stage to receive your diploma. In fact, it’s just beginning. Our pledge is to keep you connected, engaged and proud to say you’re an alum of Heidelberg University. Wherever your opportunities take you, you will always have the strength and support of the Heidelberg community behind you. From career networking and transcripts to supporting current students and showing your 'Berg Pride, we are here to support you. Our success is linked directly to the unwavering support and commitment of alumni, parents, friends and organizations who give to the university. Your support enables Heidelberg to fulfill its mission, and helps us cover the costs of essentials and the new initiatives that keep us moving toward our goals of education excellence and student success. The Heidelberg Bulletin chronicles the Heidelberg journey for everyone. Current happenings, campus changes, updates on classmates and all alumni, and important news are delivered to everyone in the ‘Berg family. Distributed twice a year to all alumni and friends, it’s a great way to keep up to date on what’s happening at Heidelberg. Some alumni just can’t stop themselves from getting involved, and Kim Newman is the perfect example of service and Berg pride. 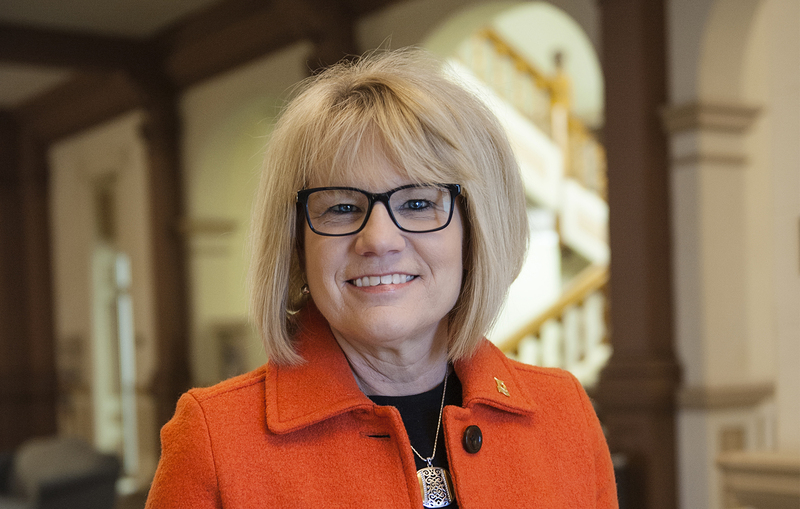 She has been actively engaging in service for Heidelberg during the last 17 years through the Fellows Organization, Alumni Council, and the Board of Trustees. Serving as Alumni Council President for four years, Newman made an impact on campus as well as in the lives of Heidelberg alumni across the country. Newman is co-owner of Tiffin Aire, which offers aircraft charter, flight instruction and rental, aircraft sales and maintenance among other services. Under her leadership, the company has flourished and maintains a strong presence in the Tiffin community. The alumni and development staff is here to help you get engaged, learn more about Heidelberg or give a gift. If you have a question or would just like to share a Heidelberg story with us, we would love to hear from you!